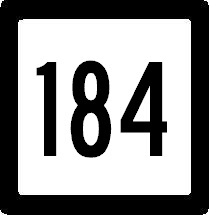 Connecticut State Route 184 runs east-west across Southeastern Connecticut. It runs from completely within New London County. CT St Rt 184 is not multi-plexed in New London County. CT St Rt 184 intersects the following highways in New London County. Connecticut State Route 12, at Groton. Connecticut State Route 117, at Groton. Connecticut State Route 27, at Groton. Connecticut State Route 201, at Stonington. Connecticut State Route 2, at North Stonington. Connecticut State Route 49, at North Stonington. Connecticut State Route 216, at North Stonington. 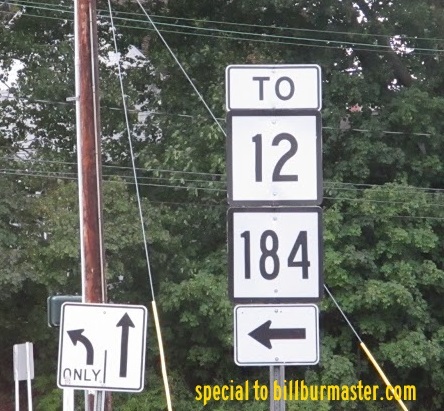 A guide marker for CT St Rt 12/184.